The multi talent 940 offers the widest scope of production possibilities of all concrete block and paver machines available on the world market. 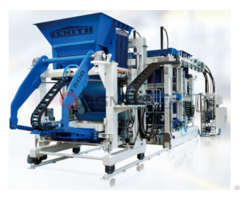 The ZENITH 940 can be used as a universal machine as well as special machine for nonstandard products and for completing single pallet plants to allow production of niche products. With the application of a ZENITH 940 you will always make the right choice. Concrete cable ducts, manholes, prefabricated elements and even high products up to 1, 000 mm used for landscaping design can be manufactured with this machine matching highest quality aspects and allowing very economical production. Segmental units such as pavers with face mix or hollow blocks as well as insulating blocks can be made in multilayer production. The single product layers are protected and separated by a layer of dry sand or, alternatively, a plastic foil. 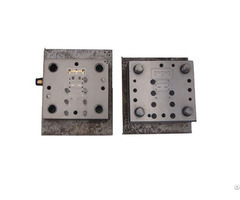 The multilayer production offers a great advantage. The ready product cube only needs to be cured and packaged. Many intermediate transports are saved. The well-known ZENITH quality and safety features stand for low maintenance and uninterrupted productions process. 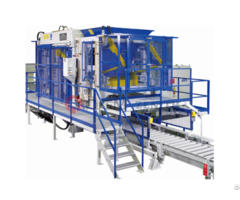 Optimized quality control and simple control systems guarantee easy performance at top level.